Theurgia is a quite separate category, and is a descendant, via Porphyry and Iamblichus of Chalcis, of the ancient Mysteries. This usage has persisted through to 13th century (and later) grimoires. 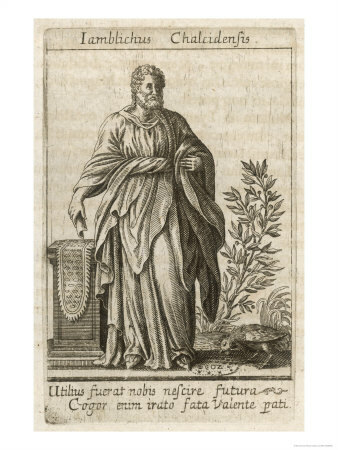 It has been suggested that theurgia, meaning “divine work,” was a term that might even have been invented by the group of Neoplatonically inclined magicians, including luminaries like Iamblichus, probably based in Alexandria around the 2nd century CE. The theurgists were concerned with purifying and raising the consciousness of individual practitioners to the point where they could have direct communion with the gods. The theurgists were in a sense the inheritors of the ancient Greek Mysteries which aimed to introduce the candidate directly to the gods. Iamblichus was one such Theurgist. He was a Syrian-born descendant (roughly around 250-330 in Chalcis, Coele-Syria) of a long of royal priest-kings and was known throughout his life as an incredibly wise and saintly man. However, the guy did not live a life of poverty and was actually quite wealthy, just as was many of his Gnostic predecessors (although there is no evidence that Iamblichus was a “Gnostic” in the purest sense). His wealth allowed him to be a full-time student of magic and philosophy, unrestrained by the worries of common folk and peasants. He had slaves that tended to his material needs (which were eventually set free after short intervals of service), while he dedicated his life to Neo-Platonic and Pythagorean mysteries at the best academies and schools that Syria had to offer. The oracle declared Christ to be a most pious man, and his soul, like the soul of other pious men after death, favored with immortality; and that the mistaken Christians worship him. And when we asked, Why, then, was he condemned? the goddess (Hecate) answered in the oracle: The body indeed is ever liable to debilitating torments; but the soul of the pious dwells in the heavenly mansion. But that soul has fatally been the occasion to many other souls to be involved in error, to whom it has not been given to acknowledge the immortal Jove. But himself is pious, and gone to heaven as other pious men do. Him, therefore, thou shalt not blaspheme; but pity the folly of men, because of the danger they are in. That saying of the Teacher is a far-famed one, which says, “Except ye eat my flesh and drink my blood, ye have no life in yourselves.” Truly this saying is not merely beast-like and absurd, but is more absurd than any absurdity, and more beast-like than any fashion of a beast, that a man should taste human flesh, and drink the blood of members of the same tribe and race, and that by doing this he should have eternal life. For, tell, me, if you do this, what excess of savagery do you introduce into life? Zeke Mazur’s “Mystical Experience, Metaphysics and Ritual in Plotinus” also does a marvelous job in explaining Plotinus’ ascent experiences in which the “center-point of the self” is recognizable as transcendent, but still has yet to be “paradoxically be dissolved or annihilated to attain the ultimate union” with the One. While this approach to gaining the Divine Vision was well established in the Platonic tradition and of course by Plotinus as well, it nevertheless is especially denied in Gnostic texts such as the Apocryphon of John and Allogenes, since they both characterize God as completely inaccessible by the human intellect since it is completely transcendent and alien to the material world. Allogenes even goes so far as to say that the knowledge of God is “not-knowing knowledge” as well as being “ignorance that sees him”. And yet, the Gnostic theurgy contained in texts like Allogenes, has many striking parallels with their contemporaries and philosophical competitors of the time, namely Plotinus and other Neo-Platonic philosophers who were familiar with dualist groups such as the Sethians, Ophites or Archontics and argued much against them like the Church Fathers and the Orthodox Babylonian Rabbis. For that element in us which is divine (theion), and intellectual (noeron) — is aroused, then, clearly in prayer, and when aroused, strives primarily towards what is like itself and joints itself to absolute perfection. …it is the complete fulfilling of the arcane performances, the carrying of them through in a manner worthy of the gods and surpassing all conception, and likewise the power of the voiceless symbols which are perceived by the gods alone, that establish the Theurgic Union. Although Iamblichus’ sentiments of theurgy don’t necessarily reflect the attitudes of all Gnostic groups, but it can be a helpful tool in assessing their cosmologies in which are reflective of their theurgical practices and rituals. However, it is safe to assume that not every Gnostic group participated in theurgical ritual. Iamblichus also developed an interest in Plotinus’ philosophies through his Enneads. It was through this, along with the teachings of Pythagoras, along with the pagan spiritual practices of the Egyptians, Chaldeans/Babylonians, Assyrians, and even the Hebrews, all of which drew him into the realm of theurgy. This is where the Chaldaean Oracles come in, as the text was most instrumental to the development and advancing of his own philosophies. The text itself was said to be written down by Julianus the Chaldean and his son Julian the Theurgist. Most instrumental to the development and advancement of his own philosophies and practices was his understanding of The Chaldean Oracles. The Chaldaean Oracles is a very, mystery long poem, is usually attributed to Julian the Theurgist, who is also credited by causing rain to pour as a miraculous event that saves Marcus Aurelius’ troops in their campaign against the Quadi in 173 CE. Julian was the personal magician of emperor Marcus of Rome and traveled with him on his conquests, apparently offering his services in the form of advanced weather manipulation for the strategic favor of the Roman armies. 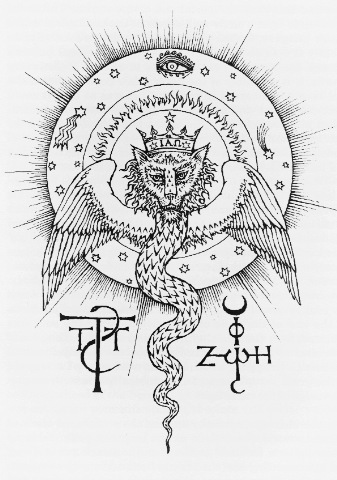 It is also attributed to Zoroaster or influenced by him as his name is often found in Gnostic and Hermetic literature, especially in the Zosimos and the Apocryphon of John. The term “Chaldean” is hardly used to refer to these writings during this time and always was referred to as the “Sacred Oracles.” Some believe that the term “Chaldean” is generally understood as a metaphorical spiritual affinity of Julian to the East, and even ancient Syria. The Oracles display a spiritual hierarchical system that has more in common with Neopythagorean, Neoplatonic and Kabbalistic traditions than they do the Zoroastrian religion. In fact, the text bears striking resemblance to earlier sources within the Gnostics, specifically the Ophite Gnostics. Most instrumental to the development and advancement of his own philosophies and practices was his understanding of The Chaldean Oracles, a divinely inspired text written down by Julianus the Chaldean and his son Julian the Theurgist sometime in the early 2nd century(during the reign of Marcus Aurellius) in the time of Apollonius of Tyana, who could be revered as one of the greatest magicians of that millennium. So close did the feats of Apollonius come to those of Jesus Christ that he was hunted by early Christians who sought to discredit him, sometimes going as far as to proclaim him a false Messiah, much as they did with Simon. Of note however is that legend holds that Julian the Theurgist once challenged Apollonius and two other famed mages of the time to a challenge, in which the winner would be the one who first lifted the plague of a particular town. According to all accounts of this event, Julian came out the victor. It also goes on to say that the Chaldean Oracles were written by both Julian’s as a means to initiate those compelled into the theurgical mysteries and even claims that they, along with Iamblichus, much like Marcion and Simon Magus according to the church father Hippolytus (they are not mentioned below), were all influenced by Empedocles, apparently an initiate of Hekate. The Chaldean Oracles were a set of instructions laid down by both Julianus and Julian for the process of initiation into the Theurgic sciences. From this text we find many of the Theurgic principles blending with hermetic principles in a day and age where no one could rightly say which was older than the other. In essence, The Chaldean Oracles likely served as a merging point for the Egyptian and early Greek hermetic sciences with the Babylonian, Assyrian and Chaldean theurgic sciences. This may have something to do with the initiation of Julian the Theurgist into the hermetic mystery schools, particularly the School of Orpheus, wherein we see an analysis of the four elements in the form of prose. This was likely coupled by the influence of an early student of Pythagoras himself, a philosopher and magus by the name of Empedocles, who would be the first to put the Pythagorean understanding of the four elements into writing as governed by the Powers of Love and Strife, that is to say, duality. Empedocles was a well know mage of his time, and an initiate of the Mysteries of Heckate, a school which was outlived and eventually pushed into the shadows by the Pythagorean, Hermetic and Orphic Mystery Schools. True to form, both Porphyry and Iamblichus were actually well acquainted with solar-worship. In Eusebius’ Praeparatio Evangelica (Preparation for the Gospel), Chapter XIV, he writes that Porphyry’s work from Philosophy from Oracles provide astrological ritual instructions, based on the correct time to undertake based on the idea that the gods issue these instructions for worship to mortals. These ritual instructions, as common as they were in the ancient world, was intended to enable humans to align themselves and the world of man with the divine realm through the astrological bodies. In what does a dæmon differ from a hero or half-god or from a soul? It is it in essence, in power, or in energy? What is the token (at the Sacred Rites) of the presence of a god or an angel, or an archangel, or a dæmon, or of some archon, or a soul? For it is a common thing with the gods and dæmons alike, and with all the superior races, to speak boastfully and to project an unreal image into view. Hence the race of the gods is thus made to seem to be in no respect superior to that of the dæmons. Iamblichus’s archonology is quite interesting here. His cosmic archons, in contrast with the Gnostic cosmocrators, are not evil. Rather, it is they who govern the Personal Daimon of the initiate, and it is only through their intermediary nature that this being is to be evocated. Iamblichus’ hylic archons are described in less pleasant terms, but are still not malevolent. He also draws a careful distinction between archangels and archons as well. I will, therefore, in a single statement lay down the proposition that the apparitions are in accord with their essences, powers and energies. For such as they are as such do they manifest themselves to those who are making the invocations; and they not only exhibit energies and forms which are characteristic of themselves, but they likewise display their own particular tokens. In order, however, to draw the distinctions minutely, this is the explanation: The spectral forms of the gods are uniform; those of the dæmons are diversified; those of the angels are more simple in appearance than those belonging to the dæmons, but inferior to those of the gods; those of the archangels approach nearer to the divine Causes; those of the archons — if those that have charge of the sublunary elements seem to thee to be the lords of the world — will be diversified but arranged in proper order; but if they are princes of the region of Matter, they will not only be more diversified but much more imperfect than the others; and those of the souls will appear in every kind of style. In the (Epoptic) Vision the figures of the gods shine brilliantly; those of the archangels are awe-inspiring and yet gentle; those of the angels are milder; those of the dæmons are alarming. Those of the half-gods, although these are left out in your question, yet there should be an answer for the sake of the truth because they are more gentle than those of the dæmons. Those of the archons are terrifying to the Beholders, if they are the archons of the universe; and hurtful and distressing, if they are of the realm of Matter. The figures of the souls are similar to those of the half-gods except that they are inferior to them. For these men perceived that the things which were said respecting the Sun-God as the Demiurgos, or Creator of the Universe, and concerning Osiris and Isis, and all the Sacred Legends, may be interpreted as relating to the stars, their phases, occultations, and revolutions in their orbits, or else to the increase and decrease of the Moon, the course of the Sun, the vault of the sky as seen by night or by day, or the river Nile, and, in short, they explain everything as relating to natural objects, and nothing as having reference to incorporeal and living essences. In typical Middle Platonic fashion, Hermetic theology presents an emanative hierarchy of God, a demiurge, and seven planetary powers—who, similar to the Gnostics, were generally described as ruling powers, διοικηταί (“governors, or administrators”) and ἄρχοντες, rather than gods. The Sun was identified with the demiurge, and the surrounding cosmic bodies were instruments with which he crafted the world. The planetary governors were depicted as administering mankind’s fate, and shaping man in their nature—as a microcosm—an act which is explicitly described as being done out of love. Other texts in the Hermetica describe the planetary beings as gods, but the identity between the seven rulers of the early chapters and the planets is clear. The world of the Oracles was a series of concentric circles, composed of the intelligible empyrean, the ethereal realm of the fixed stars and planets, and the material sphere which contained the sublunar region and the Earth. This triadic structure was organised by three gods: the Monad, Demiurge, and Hekate. It was further administrated by three tiers of intermediary beings: the iynges (ἴυγξ), synoches (συνοχεῖς), and teletarchs (τελετάρχαι), the latter of whose origins are identical with the planetary archons and cosmocrators described previously. However, the teletarchs were not exclusively relegated to planetary roles; the material teletarchs, for instance, were associated with the moon and were thought to govern the sublunary realm. The Oracles further describe the world as populated by various species of terrestrial, atmospheric, and aquatic daimons. Regarding the teletarchs, Majercik notes that an important distinction must be made between the “Chaldean” and Gnostic systems in that the teletarchs are “benign, even helpful figures, who aid the ascent of the soul”, and that “the Chaldean system maintains a more positive, monistic view of creation”. 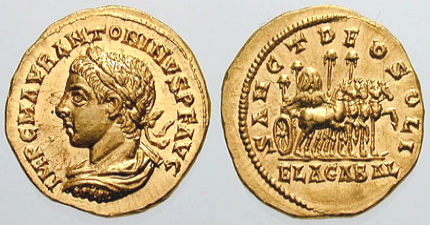 The early Christian Church eagerly promoted Jesus-Helios-Sol sun symbolism to appease the Roman emperor Constantine who was the high priest of Sol Invictus all through his reign. 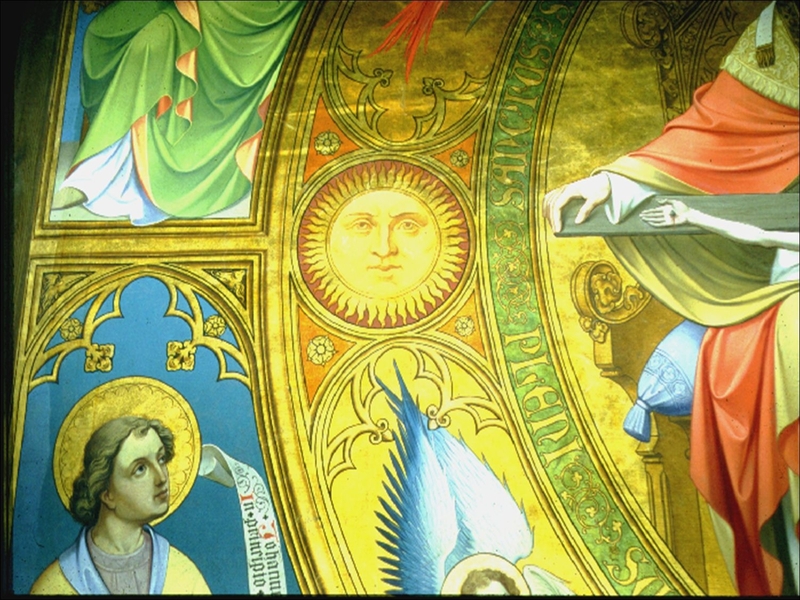 The sun symbolism continues to the present day on robes, banners, icons, behind the cross in a ray of light, flames coming from the heart of Jesus, etc. 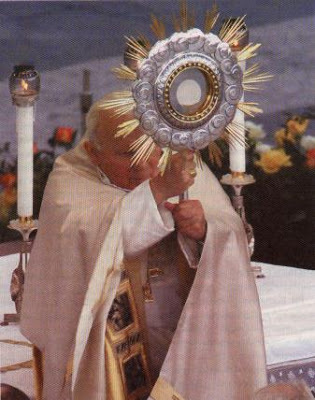 Priests even bow and kiss a monstrance which is a gold statue of the sun on a pedestal during processions. Then Abraham raised his eyes and looked, and behold, behind him a ram caught in the thicket by his horns; and Abraham went and took the ram and offered him up for a burnt offering in the place of his son. And Abraham called the name of that place Jehovahjireh: as it is said to this day, In the mount of the LORD it shall be seen. It is interesting to see how Yahweh tells Moses to warn the ancient Hebrews about not gazing directly onto him, lest that they perish. This sounds very similar to sun-gazers who look at the sun too long, who fall into danger of being blinded. In other words, Yahweh can be compared to the Roman Sol Invictus, or Heliogabalus. Amazingly, this is exactly what the Pauline author is saying 2 Corinthians 3! The angelic inspired laws of Yahweh is called the “ministry of death” as opposed to the glorious, righteous, spiritual gospel of Jesus Christ that condemns it to death. But if the ministry of death, written and engraved on stones, was glorious, so that the children of Israel could not look steadily at the face of Moses because of the glory of his countenance, which glory was passing away, 8 how will the ministry of the Spirit not be more glorious? 9 For if the ministry of condemnation had glory, the ministry of righteousness exceeds much more in glory. 10 For even what was made glorious had no glory in this respect, because of the glory that excels. 11 For if what is passing away was glorious, what remains is much more glorious. 12 Therefore, since we have such hope, we use great boldness of speech—13 unlike Moses, who put a veil over his face so that the children of Israel could not look steadily at the end of what was passing away. 14 But their minds were blinded. For until this day the same veil remains unlifted in the reading of the Old Testament, because the veil is taken away in Christ. 15 But even to this day, when Moses is read, a veil lies on their heart. 16 Nevertheless when one turns to the Lord, the veil is taken away. 17 Now the Lord is the Spirit; and where the Spirit of the Lord is, there is liberty. 18 But we all, with unveiled face, beholding as in a mirror the glory of the Lord, are being transformed into the same image from glory to glory, just as by the Spirit of the Lord. 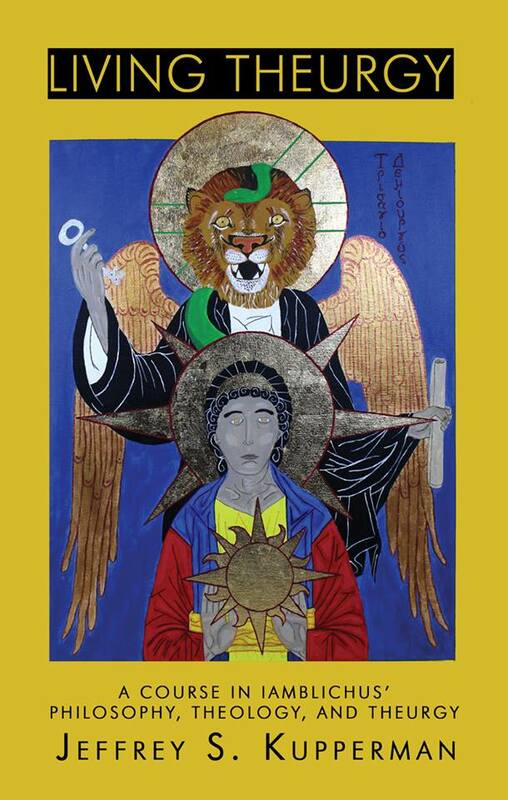 In The Gnostics and Their Remains, by Charles William King, he writes how the name and utterance IAO, is the Hellenized form of the Hebrew Tetragrammaton. Diodorus Siculus, when enumerating the different legislators of antiquity, says, “Amongst the Jews Moses pretended that the god surnamed Iao gave him his laws” (i. 94). And this is elucidated by the remark of Clemens Alexandrinus, that the Hebrew Tetragrammaton, or Mystic Name, is pronounced ΙΑΟϒ, and signifies “He that is and shall be.” Theodoret states that the same four letters were pronounced by the Samaritans as ΙΑΒΕ (Jave); by the Jews as ΙΑΩ. Jerome (upon Psalm viii. says, “The Name of the Lord” amongst the Hebrews is of four letters, Iod, He, Vau, He, which is properly the Name of God, and may be read as ΙΑΗΟ (Iaho) (that is in Latin characters), which is held by the Jews for unutterable. The name of restitution stands thus: Messia, Uphareg, Namempsœman, Chaldœaur, Mosomedœa, Acphranœ, Psaua, Jesus Nazaria. The interpretation of these words is as follows: I do not divide the Spirit of Christ, neither the heart nor the supercelestial power which is merciful; may I enjoy Your name, O Saviour of truth! Such are words of the initiators; but he who is initiated, replies, I am established, and I am redeemed; I redeem my soul from this age (world), and from all things connected with it in the name of Iao, who redeemed his own soul into redemption in Christ who lives. Then the bystanders add these words, Peace be to all on whom this name rests. After this they anoint the initiated person with balsam; for they assert that this ointment is a type of that sweet odour which is above all things. “In the name of Jesus” is a magical formula based on the magical power of names. Its use in Christian baptism is not merely symbolic of the power of God but is meant to confer magical power to the baptized person. It pervades the person with the power of the name that would drive out all rival powers, an example of the very name beliefs found in all parts of the ancient world when Christianity was being formed. The seven vowels were considered magical and magical texts often have names consisting of strings of combinations of vowels. Yehouah is a string of vowels. Although Celsus does take plenty of pot-shots against the Christians (whom he equates with the Ophites without a second thought) as well as the Jews who “worship angels, and are addicted to sorcery, in which Moses was their instructor,” he surprisingly has great admiration for YHWH and condemns the Ophites for their blasphemy and cursing against him. The ruler of those named ‘archontics’ is termed the ‘accursed’ god. Who would venture to use such language—as if there could be an “accursed” divinity! Yet the God of the Mosaic cosmogony is termed an accursed divinity, because such is his character, and worthy of execration in the opinion of those who so regard him, inasmuch as he pronounced a curse upon the serpent, who introduced the first human beings to the knowledge of good and evil. What could be more foolish or insane than such senseless wisdom? For what blunder has the Jewish lawgiver committed? and why do you accept, by means, as you say, of a certain allegorical and typical method of interpretation, the cosmogony which he gives, and the law of the Jews, while it is with unwillingness, O most impious man, that you give praise to the Creator of the world, who promised to give them all things; who promised to multiply their race to the ends of the earth, and to raise them up from the dead with the same flesh and blood, and who gave inspiration to their prophets; and, again, you slander him! When you feel the force of such considerations, indeed, you acknowledge that you worship the same God; but when your teacher Jesus and the Jewish Moses give contradictory decisions, you seek another God, instead of him, and the Father! In other words, those who worship the sun, also worship Iao, and also worship the Demiurge, the true object of adoration in their mysteries. Many of the pagan mystery cults directed worship and sacrifice to this god. No Gnostic would ever be caught dead worshiping the sun because solar worship is ultimately worshiping the representation of the Demiurge. As we’ve seen many claimed that the sun is the son of god and that the sun to us is God in physical form. But isn’t this type of star/planet-worship the very thing that Paul and the Gnostics said was the great deception? “How is it that you worship the elements of the world? You observe days, months, seasons, and years! I am afraid that I have labored for you in vain.” (Galatians 4). Indeed, this is what the the ancients did by conflating Dionysus as merely one face of the solar Demiurge. The Hymns to Orpheus also include one specific hymn to Helios as well. The Mithras Liturgy sings many praises to Helios and specifically asks the initiate to alter their consciousness so that they may rise with Helios in solar rapture resembling the mysticism of meditative practices designed to create a vehicle/body of “light,” we see in Tantra and the Kabbalah, a tradition that made its way into 19th Century Western occultism in a diluted form, specifically in the Hermetic Order of the Golden Dawn. Draw in breath from the rays, drawing up three times as much as you can, and you will see yourself being lifted up and (540) ascending to the height, so that you seem to be in mid-air. You will hear nothing either of man or of any other living thing, nor in that hour will you see anything of mortal affairs on earth, but rather you will see all immortal things. For in that day (545) and hour you will see the divine order of the skies: the presiding gods8 rising into heaven, and others setting. As noted, “Sabaoth” may be related to “Sabeus,” which in turn is an epithet of Dionysus, who is also equated with Iao by Marcobius. Thus, Yahweh is Iao is Bacchus, and all are the sun. Terror to the dogs of hell. And wreathes about her awful brow. In the Chaldean Oracles, it sets out a long, drawn out cosmology that begins with the Paternal Monad called the “Mind of the Eternal Father, that splits off into a duad, and eventually into a triad, similar to the idea of the Trinity. The triad projects the “first Course” as being sacred and even calls it “the Matrix containing all things. Thence abundantly springs forth the Generation of multivarious Matter. Thence extracted a prester the flower of glowing fire.” Hecate is also considered a projection of the Father and is called the “the Operatrix, because she is the Dispensatrix of Life-giving fire. Because also it fills the Life producing bosome of Hecate.” John Turner in The Setting of the Platonizing Treatises writes about Hecate’s role in the Chaldean Oracles and how it is very similar to that of Barbelo, the Sethian version of Sophia. So could it be that Hecate is merely a stand-in for Sophia or Barbelo? It sure seems that way. It also seems as though the authors of the Chaldean Oracles was deliberately rewriting the Gnostic cosmological myth for another audience in competition against the earlier Gnostic sects. 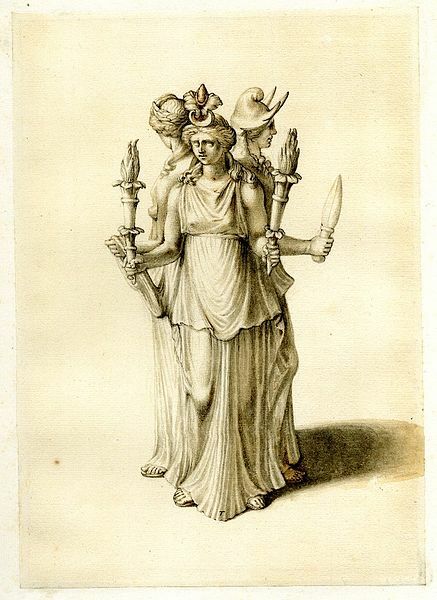 Hecate is also a patron goddess that practitioners of the Greek Magical Papryi pay homage to as well. Chaldean theurgy greatly inspired Iamblichus in many ways, so in a way, he himself indirectly draws inspiration from the much earlier Gnostics, despite his not so apparent solar worship of the pagan mystery cults, including that of Jews. Ezekiel 8, however, seems to condemn secret sun worship but that is another story altogether. When one falls deep enough into the thuergical rabbit hole, who knows what interesting bread-trail of gnosis one may find and follow. Hey, folks. It’s been a while since my last interview so I decided to go with a friend of mine who operates the seminal academic-oriented, the Journal for the Western Mystery Tradition, Jeffrey Kupperman! His book Living Theurgy has been published very recently and since he’s been very generous in allowing me to have a couple of my articles to be published on his site, such as Eros, Orpheus and On the Origin of the World and The Gnostic Stranger in Upanishadic Thought, I thought I’d return the favor. So without further ado, I will let Jeffrey to express himself through his own Logos. 1. What is your book Living Theurgy about? Well, it’s about theurgy, but that’s probably obvious. My goal with Living Theurgy was to systematize the Neoplatonic thought off Iamblichus of Chalcis, an important 4th century Neoplatonist, including his often ignored philosophy, his theology, and his theurgy. 2. Why is Iamblichus important in the history of western philosophy and thought? Largely, Iamblichus has been ignored, at least until recently. This was largely due to the erroneous view that he wasn’t really a philosopher, but just an irrational occultist, an aberration in the history of Platonism, rather than a defining practitioner, which he actually was. And that’s why he’s important. His contributions have been enormous. He wrote nine or ten volumes on Pythagoreanism, commentaries on Plato and Aristotle, treatises on the gods and the soul, De Mysteriis, possibly the most important primary source on theurgy, and at least 23 volumes of Chaldeanized Platonism. That the vast majority of these texts are now lost doesn’t detract from their importance. These works have influenced Proclus (who influenced Thomas Aquinas amongst others), pseudo-Dionysius the Areopagite, and Marsilio Ficino. They, in turn, have influenced countless others, as well as entire movements, including many elements of esoteric Christianity, a great deal of kabbalah, Rosicrucianism, and more. 3. How does Iamblichus and his brand of Neoplatonism coincide with Gnosticism or Gnostic theology? There are some similarities, of course, but those seem to be largely due to the influence of Platonism on both. Unlike Plotinus and Porphyry, there doesn’t seem to be evidence suggesting Iamblichus was in direct, or even indirect, contact with the Gnostics. So, we’ll see similarities in cosmology, but fairly different views on things like the Demiurge, the nature of the realm of generation, and the like. 4. Are there any daily, practical applications that can be gleaned from Iamblichus? Not directly, not enough of his material was left behind for that. Indirectly, though, yes. In De Mysteriis, for example, he talks about cultus or worship, in a theurgic context. There are ideas there that can be directly applied to our own practices. More than that, though, Neoplatonism is a way of viewing the world. It includes classical Platonism, and so dialectic and all it entails, so it always applicable in some way to the generative world. But Neoplatonism, and Platonism in general, isn’t just about getting along in the realm of generation. It allows us to see this world differently, yes, but it does so in light of higher realms, the places, for lack of a better term, to which our souls truly belong. 5. How are the Demiurge, the Archons and/or the Daimones depicted in Iamblichean and Neoplatonic thought? If you’re familiar with Gnosticism, quite differently from that. In later Neoplatonism, starting with Iamblichus, the Demiurge follows the model of the Timaeus, it is an all good, perfect, deity who wants nothing but good, and the Good, for everything. Its ordering of the gods, and the universe, is to for the purpose of bringing this about. Iamblichus’ use of the term archon seems to indicate different kinds, or genre, of gods, who are in charge of different levels of reality, functioning above the visible realm and within it. Once again, these gods are considered, as are all gods for that matter, all good and incapable of producing something that isn’t good. Daimones take on a number of different roles, even though they are all of the same genre. Iamblichus talks about three kinds of daimon, the personal daimon, upon which the Holy Guardian Angel is modeled in Abramelin, “evil” or punishing daimones and guardian daimones, the latter of which are often associated with a particular place, and simple daimones who appear very much like the more modern ideas of elementals. 6. We know that Plotinus, for example, attempted to model a society from Plato’s Utopian ideal of the Philosopher King ruled Republic. Yet, one wonders how Neoplatonic philosophy and theurgy differ from the original Platonic school of thought. Any comments? It is hard to say. I very much doubt they are identical. That said, there is enough suggesting Plato’s connection to Pythagoreanism, and some level of esotericism, that they may not be completely different. That’s not to say Plato or Socrates were theurgists. It doesn’t seem like theurgy was really brought into Neoplatonism until Iamblichus. But some, such as the late Neoplatonic scholar Algis Uždavinys, have strongly suggested an initiatory and esoteric element to classical Platonic thought that is not at all out of line with Neoplatonic thought. I’ve no idea if these ideas were carried out in similar ways. That said, I’m not sure it matters. Things change. After some 700ish years of Platonism, between Plato and Plotinus, and the generation in between Plotinus and Iamblichus, I’d expect things to change. I don’t see what Iamblichus has done being necessarily, or even greatly, out of line with the Platonic thought, generally speaking, that came before him, even if what he did and thought was different, which it invariably was. 7. Does alchemy figure in with Iamblichus and Neoplatonism? Not directly, at least depending on how you’re defining alchemy. If we’re talking laboratory alchemy, there seems to be no direct connection at all, at least not with Iamblichus. If we’re talking about spiritual alchemy, sensu Paracelsus, then possibly. 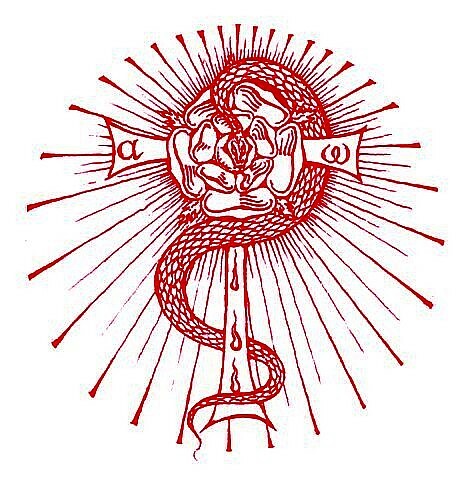 Somewhere I’ve a paper floating around, hoping to see the light of day, connecting Marsilio Ficino, and especially his masterpiece De vita libri tres, which is on theurgic astrological medicine and talismancy, and alchemy. Ficino himself was linked to alchemy by later alchemists, though I don’t know of any direct evidence showing he actually practiced it. There are ideologies, especially in the Neoplatonic idea of sunthemata or divine tokens found in material things, which are certainly applicable to alchemical thought.